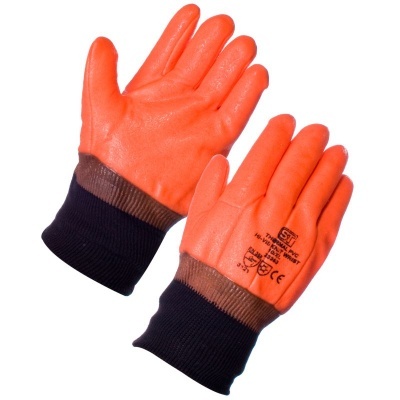 The Supertouch 23353 Thermal PVC Hi-Viz Knit Wrist Gloves offer the perfect combination of toughness and versatility. Their great abrasion and tear resistance, paired with convective and contact cold resilience, make them suitable for an array of outdoor and cold store tasks. The Supertouch 23353 Thermal Knit Wrist Gloves are available in a universal design that should fit most adults.